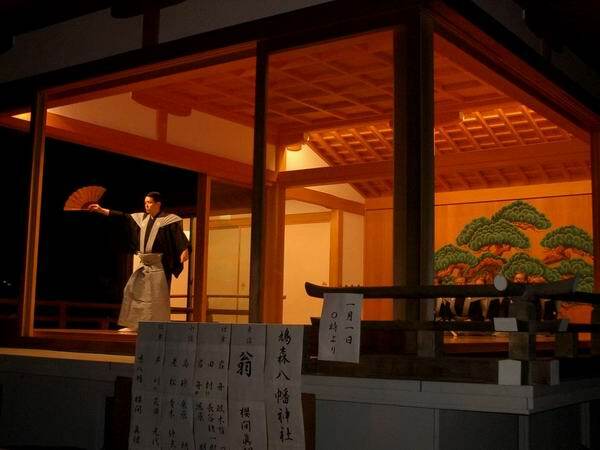 My year 2004 started watching Noh play at open-air Noh theater of a local small shrine, Hatomori-Jinjya. Only 15 minutes walk from crowded Meiji shrine, here had darkness, quietness and this sublime Noh play. My new year resolution No 1 is to master my new mobile phone Infobar. Shocked me was that some elderly next to me holding the same type mobile phone as mine was taking movie of the Noh play and recording voice mail the same time, both of which I still have no idea how to! No2 is master blogging better of course.